Relief for Stroke Survivors with Shoulder Pain- Pain News - Pain.dieutridau.com - All for Pain Relief ! Up to 85% of stroke survivors suffer from chronic shoulder pain and that pain often stops them from continuing their efforts to rehabilitate after their stroke. When a stroke survivor can no longer move his or her arm, the muscles will atrophy. The shoulder will essentially separate and the pain from the shoulder will often cause them to drop out of rehabilitation. Choices like opioids, short term joint injections and immobilization might help relieve the pain in the short-term but they don’t address the cause—how to settle down the axillary nerve. Doctors are having some success with a recently FDA cleared device that treats chronic pain of a peripheral nerve origin. 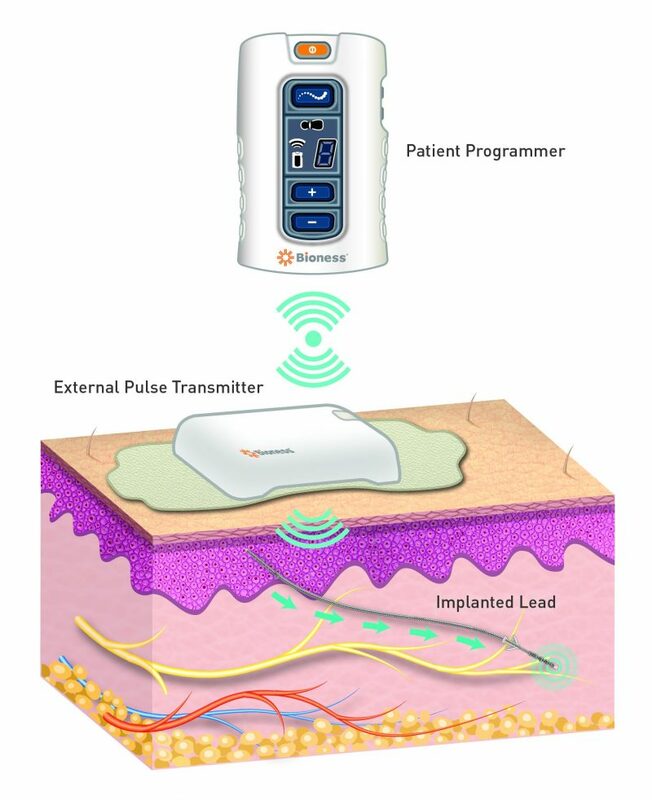 In fact, it was the first implantable neuromodulation device cleared for peripheral nerve pain. 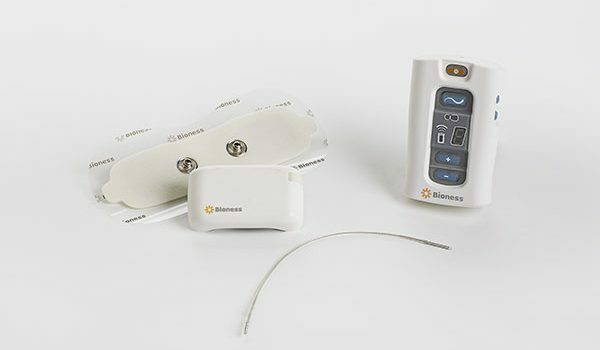 The StimRouter was developed by Bioness, a southern California company that was founded by the legendary Al Mann, the entrepreneur and philanthropist who founded companies that focused on cardiac pacemakers, insulin pumps, spinal cord stimulators and cochlear implants. Mann passed away earlier this year. “The goal is to get the stroke patient back into rehab,” said Mark Geiger, Global Director of Marketing Implantables for Bioness. “By targeting the pain at its origin, we believe we have an answer for the chronic shoulder pain that plagues stroke survivors. The StimRouter is being marketed as a minimally invasive, long-term treatment option. No batteries are implanted. There’s less lead migration which is a big challenge for more invasive treatments. Many pain physicians like what they see so far. “This represents a paradigm shift in the management of post-stroke shoulder pain,” said Dr. Michael Sein, a rehabilitation physician at Weill Cornell Medicine in New York. “I like the ease of implementation which can be completed in an ambulatory setting as well as the significant levels of pain reduction that is achievable in patients that have failed to improve with prior therapy. According to Dr. Sein, the traditional therapy has included physical therapy, medications and corticosteroid injections. While the device was approved last year, the Company just launched the product in early 2016 and is still training pain and rehabilitation physicians around the country. Currently about 70 physicians are trained. “That number is increasing by the month,” said Geiger. The StimRouter is also approved for treatment of upper or lower limbs, entrapment syndromes, intercostal neuralgias and other peripheral injuries or disease. Dr. Porter McRoberts of Fort Lauderdale, Florida is an interventional pain physician who has also used the device. The Company hopes that for physical therapists and occupational therapists, the StimRouter may help these professionals successfully rehab more of the 800,000 Americans who suffer a stroke each year.